OUTPUT POWER 530W. If you prefer you may also feel free to recycle such materials to any local R2 or e-Stewards certified recycler. MPN RG530-S12. Rosewill 1000 Watt Gaming Computer Power Supply 80 Plus Bronze PSU Glacier 1000M. 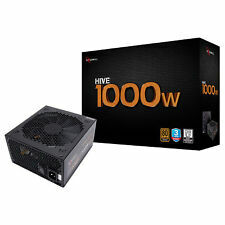 1000W! Lightly Used. Used for less than a year. Includes all necessary cables to get you started. Includes one removable sata cable with 4 connectors. Includes the 3 prong ac power cable. Does not include original packaging. Shipped with USPS Priority Mail. 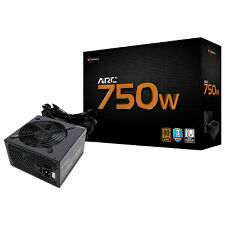 Rosewill 750 Watt Gaming Computer Power Supply, 80 Plus Gold PSU, CAPSTONE-750. Condition is Seller refurbished. Shipped with USPS Parcel Select Ground. Rosewill 650 Watt Computer Power Supply 80 Plus Gold Certified Capstone. Condition is New. Shipped with USPS Priority Mail Large Flat Rate Box. Rosewill Capstone G550 550W ATX12V EPS12V EPS Power Supply. Condition is New. Shipped with USPS Priority Mail. Decomissioned from one of our workstations. NO EXCEPTIONS. THERE WILL BE. We will fully inspect and retest the item. Failure to do so. Rosewill Stallion Series. Power Output Connectors Details. Power Capacity. POWER DEVICE. 1 x power 24 pin ATX with detachable 4 pin section. 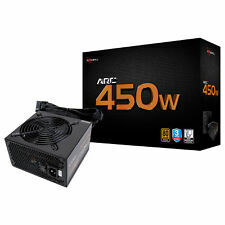 1 x power 4 pin ATX12V connector. 6 x 4 pin internal power. 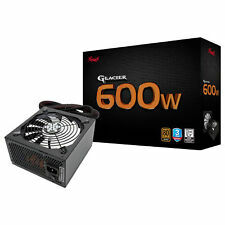 Rosewill 1000 Watt Gaming Computer Power Supply 80 Plus Bronze PSU Glacier 1000M. Condition is Used. Shipped with USPS Priority Mail. 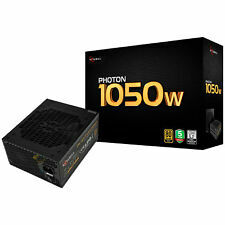 Continuous 1500W @ 40 Degree Celsius. 80 Plus Titanium Certified. LED Indicator Sends Alarm Signals at 90% Load.